We got Inkybee to tell us the Top 50 according to the criteria outlined here. But we’d like to know what you think. So we’ve reproduced the list here in the list.ly format so you can vote them up and down and add your own. 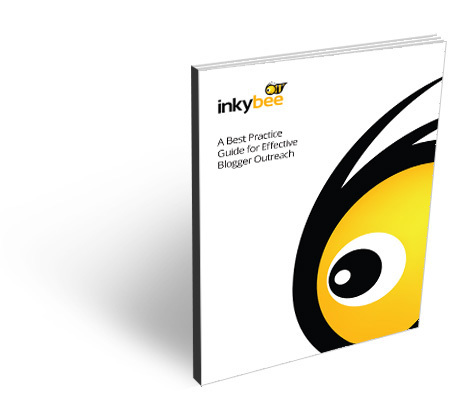 Will the marketing world concur with Inkybee? Let’s see. Please do share and embed this list and add your comments below too. Articles and ebooks on influencer marketing, how to find influencers, influencer engagement and outreach and more social media marketing tips. NeoReach provides premier quality content on influencer marketing. NeoReach allows bloggers and influencers to share brands, content and products they love. With insights from both top influencers and marketers alike, NeoReach is a go-to site for deep dives into influencer marketing. The data we monitor today can often be hiding the real data we can use tomorrow. It's going to take experimentation and respecting, as well as garnering the respect of, the people we're monitoring to start the process. Be on the lookout. There are things out there that can reduce your email marketing efforts to nothing but a pile of wasted keystrokes and bandwidth. These five culprits could kill your email marketing strategy. Here is a brief description of them and some information on how you can keep them from thwarting your plans. Op Ed Marketing is a Digital Agency that helps businesses #ATTRACT #CONVERT and #KEEP Customers. Follow for Marketing Tips, Tricks, News & High Fives! The official blog of Influence Marketing: How to Create, Manage and Measure Brand Influencers in Social Media Marketing. Blog about influence marketing. Here's a guest post Steven Leveen, CEO and co-founder of Levenger, wrote for our WordofMouth.org project. Check it out for more great word of mouth marketing tips like this every day. It's gratifying to be able to communicate with customers instantaneously. They comment on your blog and you reply. Anyone can be an influencer. People no longer need to own a TV station to make their voice heard, and neither do they need to be particularly conscious about their social magnetism. Influencers simply have 'it', a social currency that makes them look good to others. People trust influencers to show the way. Proven ways to market your business on social media sites, Facebook, Twitter, YouTube, LinkedIn. Mari shares shortcuts, tips, tools, strategies, tutorials. By Dylan O'Shea When most companies think of capitalizing on YouTube they think "How do we make a video that goes viral?" While this may seem like the obvious way to get your brand noticed by the millions of people who watch YouTube video's daily, there is another approach that does more than just gain views. "[T]the importance of audience measurement and data for influencer marketing is the same as that to television, radio or digital marketing. This data is key to matching the message, the product, service or brand, to the correct audience, in hopes of influencing consumer behavior within that audience." Recently I have been speaking with University and College students about influence, social media, social business and how to get hired using social. In each case I have been extremely humbled that they would want to have me into their class to present either in person, or via Skype. RENEGADE THINKING from the CEO of Renegade, the social media & marketing agency that helps clients make more out of less by transforming communications into "Marketing as Service." Your inside source for the latest HireInfluence, AdvoWire, Social Media, and Influence Marketing news, tips, and trends. The TapInfluence blog keeps you up to date about about influencer marketing, content marketing, blogging best practices and more. Lately I've focused on individuals who build influence through the effective use of social media. Today I'll talk about how Intel sets the standard for corporate social media excellence, using all manner of social media to engage its audience, inform, educate and build the brand. At PeopleBrowsr, we are delighted to announce the launch of a brand new type of social network - one you can build and maintain yourself. With public platforms such as Twitter, LinkedIn and Facebook, brands and consumers are increasingly being encouraged to use them exclusively to connect and communicate.